Many people have different preferences when it comes to exercising. Some people prefer working out from the comfort of their homes while others prefer the vast and beautiful outdoors. 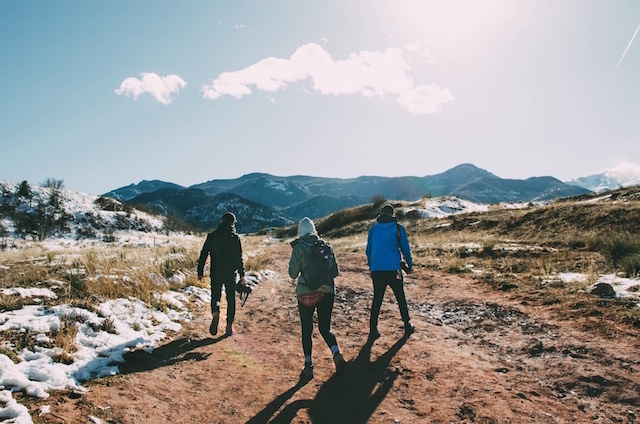 However, while exercising indoors may be more convenient, there’s no arguing that there are a lot of great health benefits to exercising outdoors. Nature is important – for our mind, body, and health. There are many things to be gained from outside workouts that can’t be matched by indoor exercises. It’s good for your mind and body. When it comes to working out, science has shown that there are many benefits from exercising outdoors. Being in the presence of nature has been shown cause improvements in mood levels. People are usually happier, more energetic, and less stressed after a good outside workout. A study of 800 participants showed that many people felt reenergized and revitalized after exercising outdoors, as opposed to indoor exercises. It’s a great group activity. Nature is a great place for socialization. Friends make great support systems – especially when it comes to working out and getting fit. Invite a friend to go hiking or gather a group for a trip to the beach. You’ll be able to get your exercise in while hanging out with your friends. It’s a win-win! There are many health benefits to sun exposure. Being in the sun is good for us, as it leads to greater absorption of Vitamin D. Vitamin D is also known as the “sunshine vitamin,” because it comes from skin that is exposed sunlight. Daily Vitamin D intake helps the body’s natural immune system fight against many illnesses. It also provides calcium that helps to strengthen your bones. Being outdoors allows the body to absorb all of the sun’s nutrients, which is very beneficial in the long run. It truly shows the importance of nature and the outdoors. However, don’t forget to bring and apply sunscreen as much as possible! The sun may be good for us, but being exposed to it unprotected for too long can lead to some painful and itchy consequences. Best of all, nature is free! The best thing about outdoor workouts is that it doesn’t cost a dime. Exercising outdoors can save you hundreds per year because nature is free for everyone to enjoy. There are parks, tracks, and other fun places that are free and widely accessible for anyone to use. Unlike gyms, there are no membership fees! And most public areas even allow you to bring a companion (whether it be a friend, a family member, or dog) to accompany you on your workouts. This can save you hundreds per year! There are many ways to exercise outdoors. Hiking, jogging, swimming, and different sports are great types of exercise. You can also do outdoor yoga or join an intramural sports team. Need a place to exercise? Try to hit the beach or check out local parks and school stadiums in your area. Most are free to use and available for public access. It can be tough to remember to exercise every day. But once you get the hang of it, it’ll be a piece of cake! Need some tips on how to get started? Bring water. You don’t want to get dehydrated. Be sure to drink a lot of water before, during, and after your workouts. Invest in good exercise gear. You should always check the weather and dress accordingly before you start exercising outside. Be prepared for sudden weather changes. A good pair of shoes will go a long way in protecting your feet. Strive for 20 minutes a day. It may be hard to get an exercise routine down, so strive for at least 20 minutes a day. Once you’ve gotten the hang of it, you can gradually increase the time you spend outdoors exercising. Take it slow. Don’t push yourself too hard! Go barefoot as much as possible. More and more research is coming off the wire supporting the benefits of grounding and re-connecting to earth. Besides, what was better than running around your yard barefoot as a kid? Have fun! There are no limits to the things you can do outdoors. Make it an adventure.